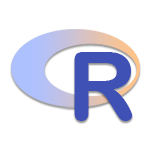 R is a language and environment for statistical computing and graphics. It is a GNU project which is similar to the S language and environment which was developed at Bell Laboratories by John Chambers and colleagues. R can be considered as a different implementation of S. R provides a wide variety of statistical and graphical techniques, and is highly extensible. The best way we learn anything is by practice and exercise questions. Here you have the opportunity to practice the R programming language concepts by solving the exercises starting from basic to more complex exercises. A sample solution is provided for each exercise. It is recommended to do these exercises by yourself first before checking the solution. Hope, these exercises help you to improve your R programming coding skills. Currently, following sections are available, we are working hard to add more exercises .... Happy Coding!